Two recalls have been issued for chicken products, one for possible allergens and another for material contamination. The recalled chicken was produced from Jan. 25, 2019, to Jan. 30, 2019. It was sold on 10-once trays with a label that incorrectly read HEB Meal Simple Chile Relleno. The chicken was actually HEB Roasted Spaghetti Squash with Alfredo & Chicken. The recalled chicken has Use By dates of 02/02/2019, 02/05/2019, 02/07/2019, 02/08/2019, and 02/09/2019. Lot codes on the affected chicken are TFD025AU4, TFD026AU4, TFD028AU4, TFD029AU4 and TFD030AU4. The affected chicken also has an establishment number of EST 34733 on the shipping container. The Chile Relleno does not have an establishment number. The affected chicken was distributed at retailers throughout Texas. Labels of the recalled chicken can be viewed here. The company has received no confirmed reports of adverse reactions to recalled chicken. Consumers that have concerns about illness from the recalled products should see their healthcare provider. Consumers are also being urged to check their refrigerators or freezers for the recalled chicken. They should not eat the affected chicken. They should throw it away for return it to the place of purchase. Questions about the recall can be directed to Thomas Yongo, director of quality assurance at Taylor Farms at 1-855-455-009 or by emailing press@taylorfarms.com. The recalled chicken was produced on Jan. 4, 2019. The chicken was packaged in 20-pound boxes with eight clear bags marked as UNCOOKED POPCORN STYLE CHICKEN BREAST CHUNK FRITTERS WITH RIB MEAT. It has a Use By date of 10-01-2019. 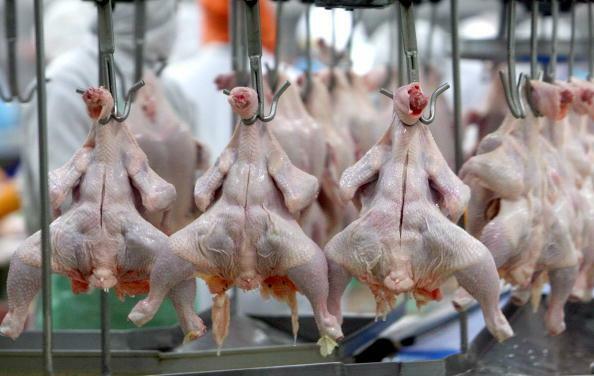 Lot codes of the recalled chicken are 9004101012, 9004101013, 9004101014, 9004101015, 9004101016, 9004101017, 9004101018, 9004101019, 9004101020, 9004101021, 9004101022, 9004101000 and 9004101001. The affected chicken also has an establishment number of P-7091A inside the USDA mark of inspection. The recalled chicken was sold at Publix Super Markets in Florida for deli food service use. Labels of the recalled breaded chicken can be viewed here. No adverse reports of illness have been reported to Pilgrim Pride. Consumer concerned about consuming the recalled chicken should contact their health provider. Consumers are urged to check their refrigerators and freezers for the recalled frozen chicken. They should not consume the recalled products. The recalled chicken should be thrown away or returned to the place of purchase. Questions about the recall should be directed to James Brown, Pilgrim Pride Corporation’s consumer relations at 1-800-321-1470. Consumers can contact the U.S. Department of Agriculture’s Food Safety and Inspection Service (FSIS) virtual representative, Ask Karen, which is available 24 hours a day at AskKaren.gov or via smartphone at m.askkaren.gov. The USDA Meat and Poultry Hotline can be reached at 1-888-MPHotline (1-888-674-6854). It is available in Spanish or English from 10 a.m. to 6 p.m. ET, Monday through Friday. Recorded food messages are also available 24 hours a day. Consumers can report quality issues and adverse effects to the FSIS’ online Electronic Consumer Complaint Monitoring System 24 hours a day at http://www.fsis.usda.gov/reportproblem. Both recalls were made in conjunction with the FSIS.